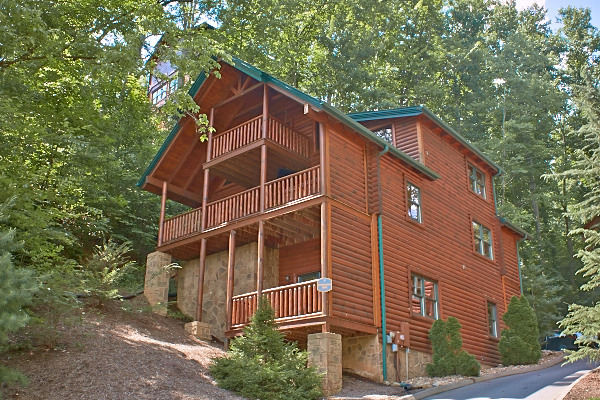 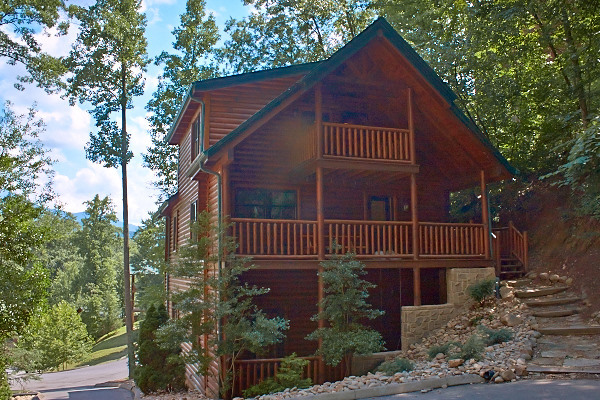 One of Gatlinburg's most popular cabins, Mountain View Theater Lodge has it all. 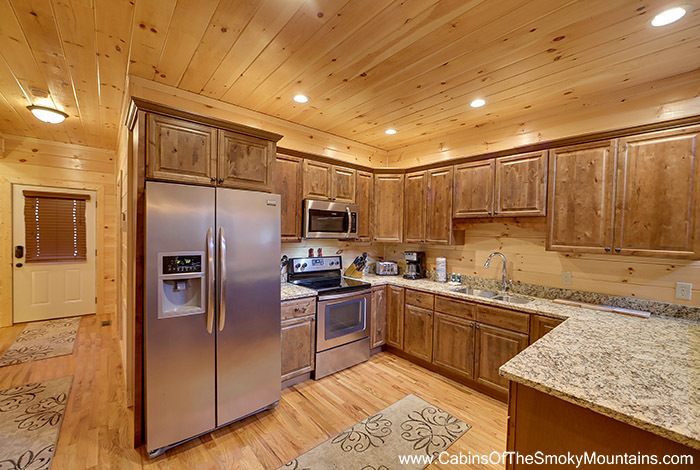 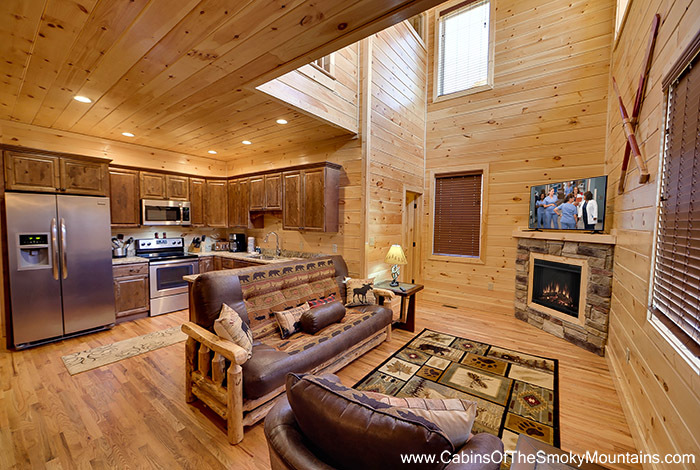 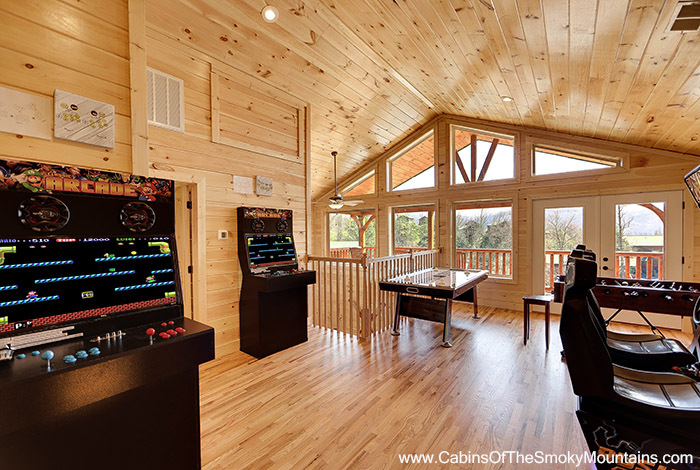 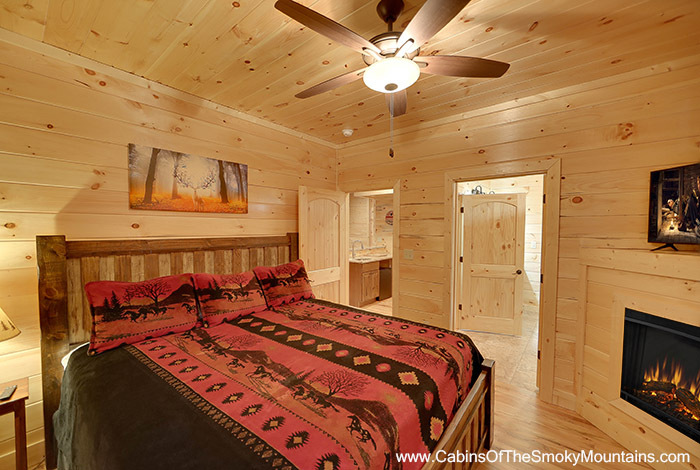 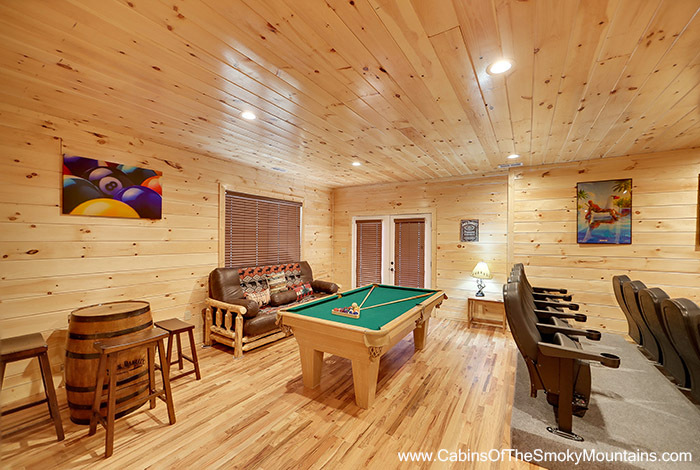 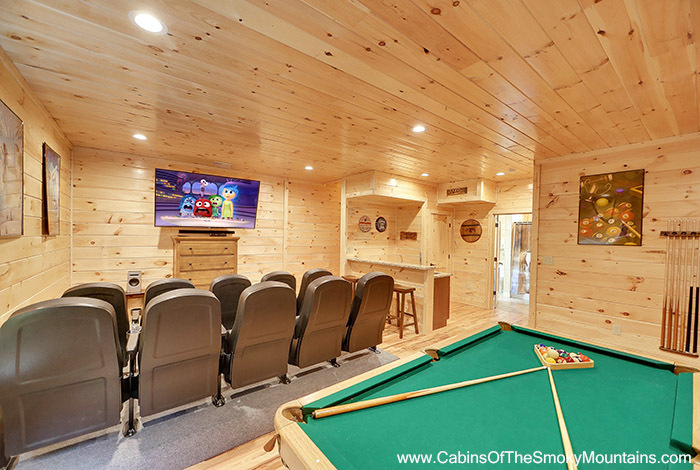 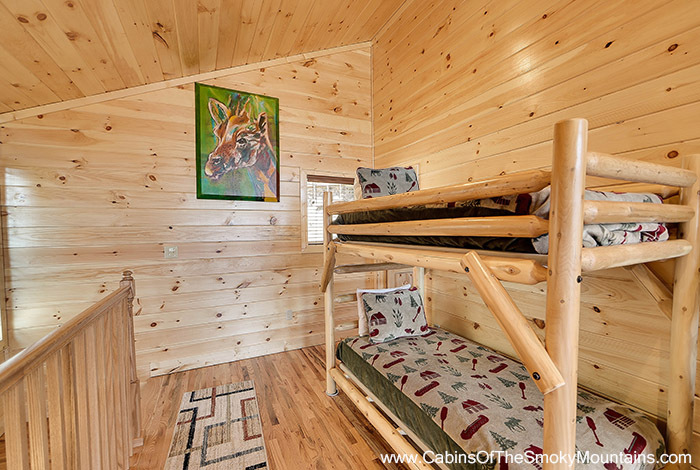 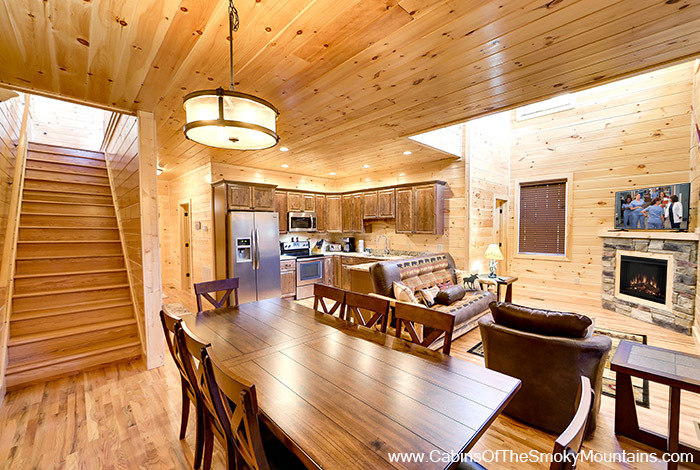 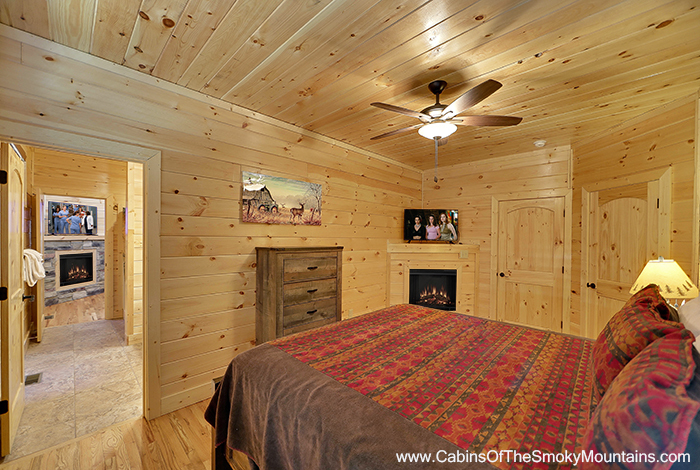 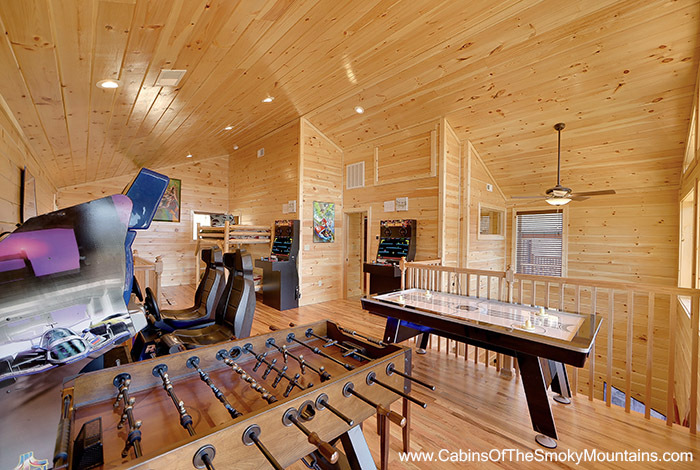 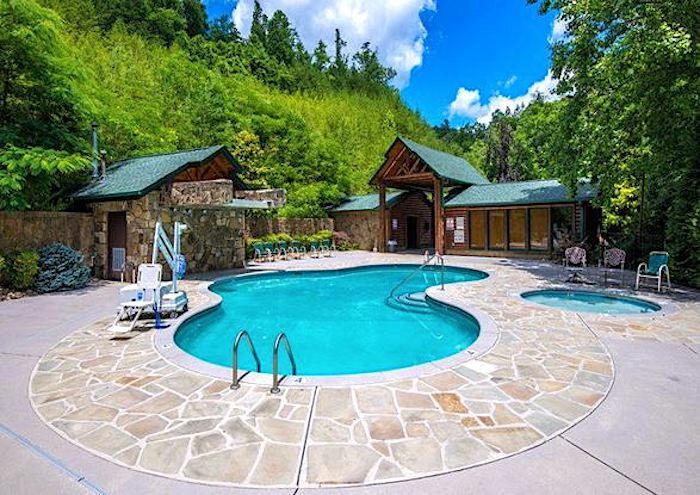 Located just minutes from downtown Gatlinburg and all the excitement of the Smoky Mountains, this luxurious cabin is the perfect escape for large families or several couples. 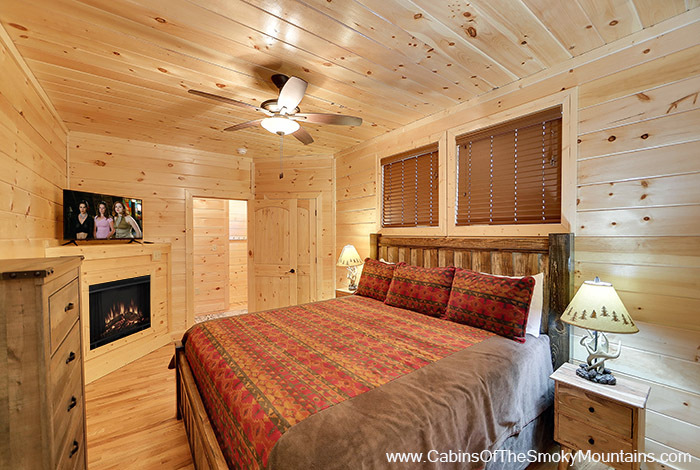 It offers three private king bedrooms, one on each level which is perfect for couples, all with fireplace, cable TV with DVD, and bath. 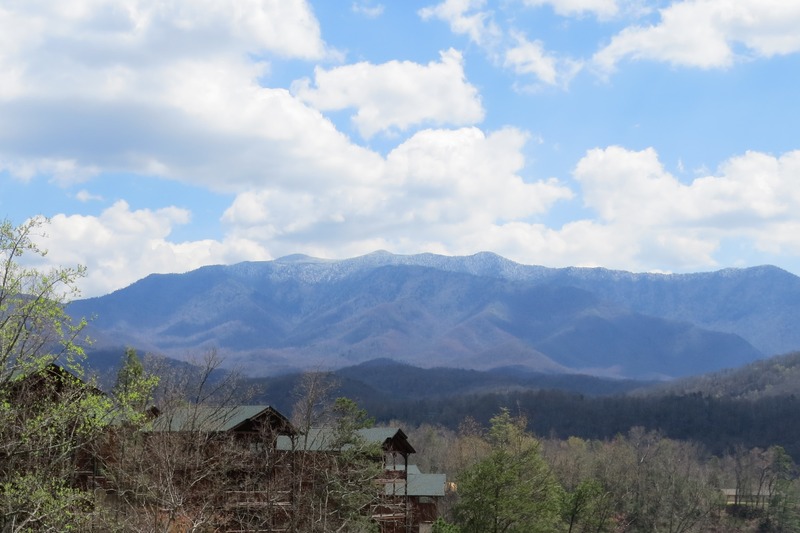 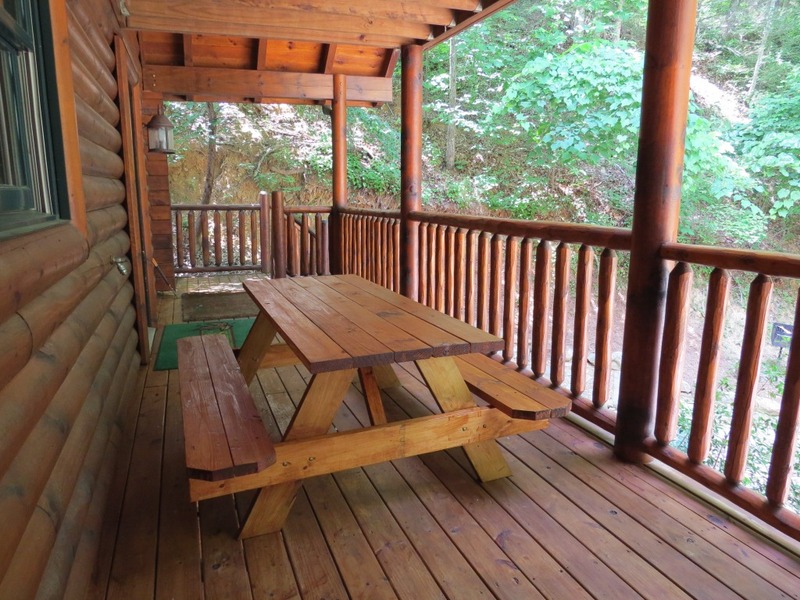 Relax quietly on one of six spacious decks while taking in all of the beauty the Smoky Mountains has to offer. 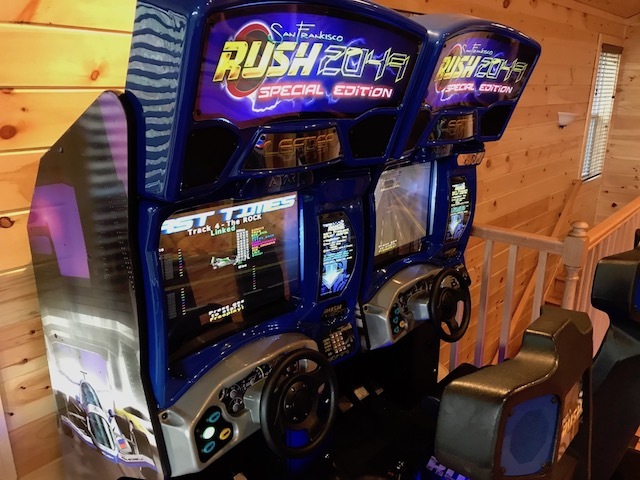 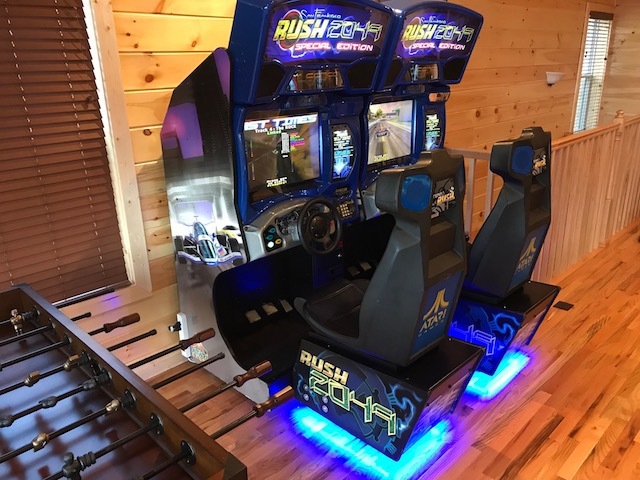 Shoot a game of pool, play Pac Man, or show off your driving skills with one of two Rush 2049 Driving Simulators. 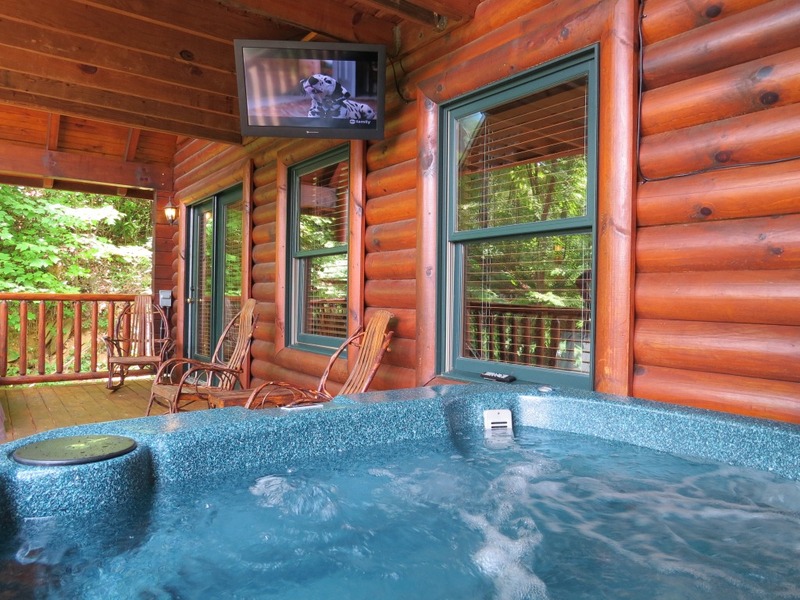 Whatever your pleasure, You'll find it at Mountain View Theater Lodge, where luxury meets the mountains.